A Valentine’s Day coffee photo. 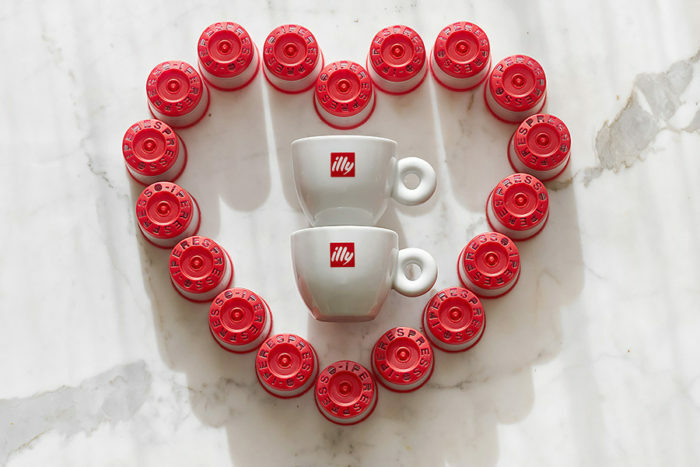 Illy medium roast Iperespresso capsules. Leica M10 and 90mm Summicron APO Asph. @ ƒ/8.0 at 1/250 ISO 800 processed in Capture One Pro and Photoshop. 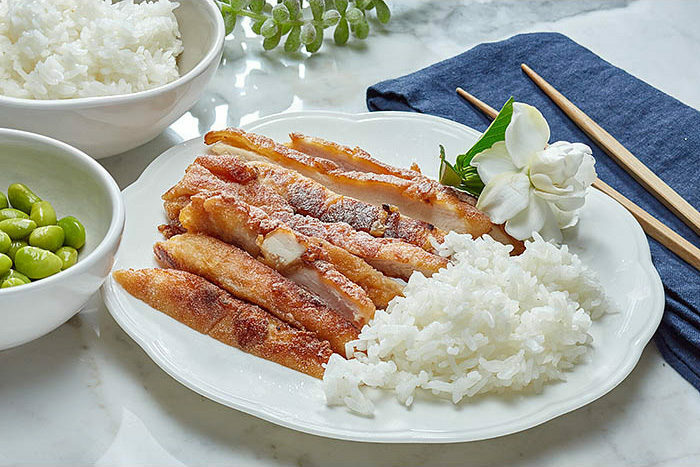 Hawaiian Chicken for Foster Farms using organic chicken. I used two lights and a fill card for this photo. The main light was a Profoto Zoom Reflector 2 with Barndoors to the right rear of the set, and the fill light was with a Profoto OCF 1′ x 3′ soft box above and to the center rear of the set. The Canon 5D Mark III was tethered to my Macbook Pro Retina running Capture One Pro to immediately view each photo as it was shot. A foam-core fill card was used in the front of the set. The lens was a 90mm Tilt-shift @ ƒ/8 ISO 100 and 1 /200 second with a little tilt movement to extend the focus of the chicken. Using the Profoto Canon TTL module and once I liked the exposure I switched the TTL to Manual to lock in the exposure. The ratio I was aiming for was around 1:3 to simulate daylight though a window. 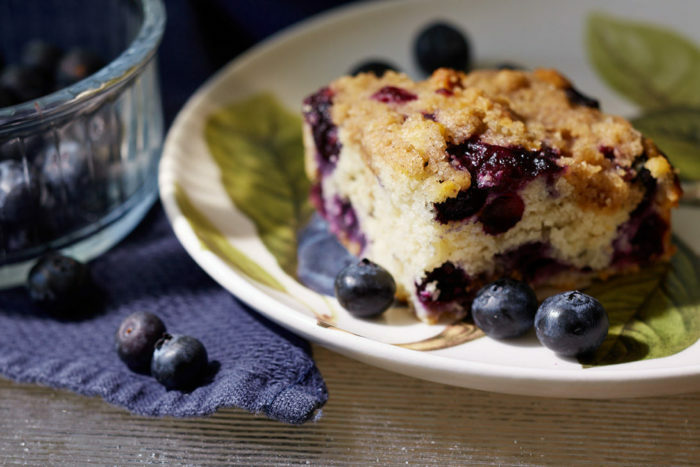 A blueberry buckle photographed for my sister. I used afternoon daylight with a little foam-core fill. Canon 5D Mark III with Canon TS-E 90mm f/2.8 Tilt Shift Lens for Canon SLR Cameras . I processed the RAW photo in Capture One Pro 9 software. 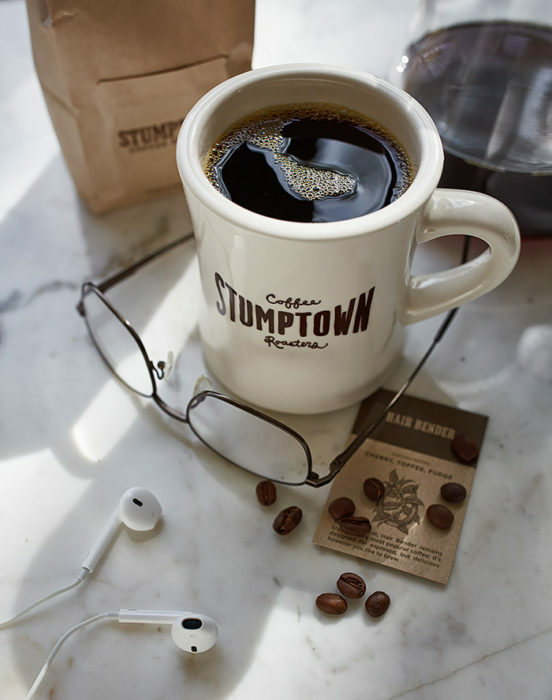 Cold brewed coffee with Stumptown Coffee Roasters. Piqued my interest in cold brewed coffee and a recommendation about Stumptown coffee roasters. I placed an order of whole beans and made a pot of cold brew coffee. It’s pretty easy to make. Just add a liter of water to a container then grid 8-heaping tablespoons of whole bean coffee and add to the water and stir. Then cover and place in the refrigerator for at least 12 hours. Pour over a Melita filter into another container and then serve. The taste has less acid than hot brewed coffee and it’s much smoother in flavor.